I heard many raving reviews of Grain Traders at Capital Green since its opening in September 2015. 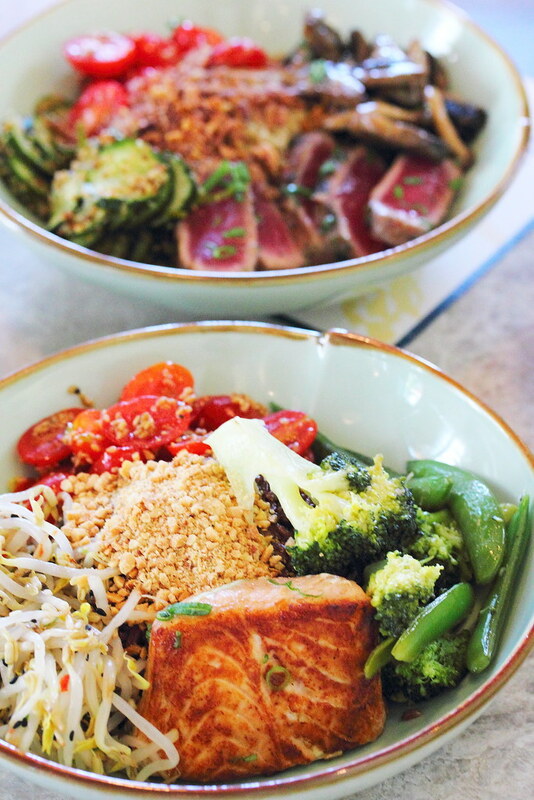 Grain Traders basically serves comfort hearty meal bowls where guests can mix and match their own preference. The concept is quite similar to our mixed vegetable rice stall. Guests will get to pick from the spread a Grain, 1 Protein, 1 Hot Vegetable, 2 Cold Veggies, 1 Sauce and 1 Topping. If you are those indecisive type, don't worry. 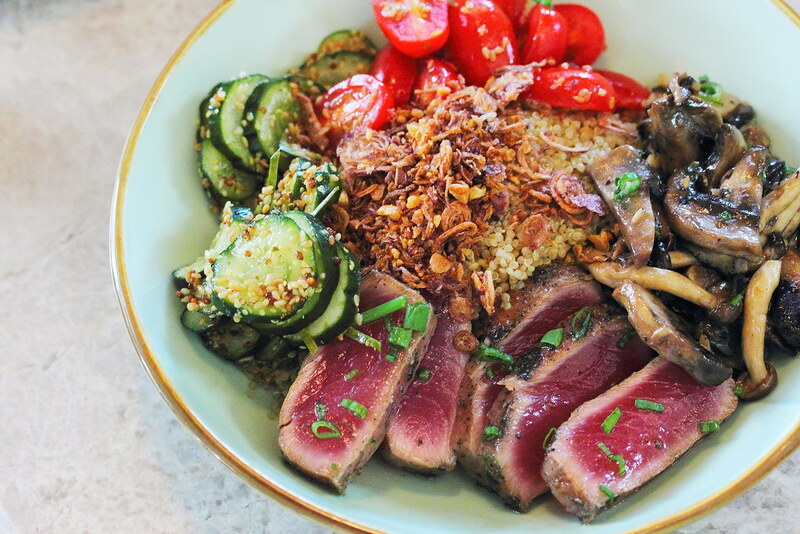 Grain Traders has 6 Signature Bowls that has already pre-matched to your liking. 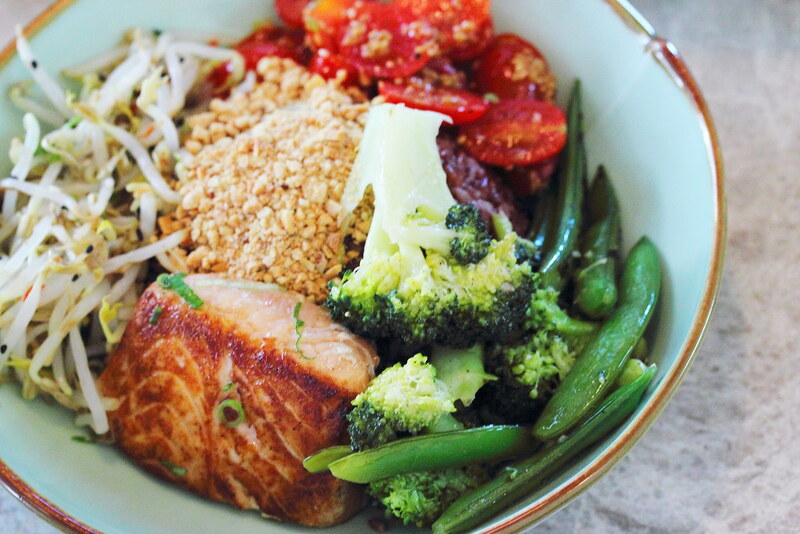 For our first rice bowl, We had the Brown Rice, Crunchy Green Medley, Chargrilled Salmon, Bean Sprout Salad, Wafu Tomatoes, Crushed Peanuts and Coconut Curry sauce. The portion of the Salmon Bowl ($16) is rather generous and substantial. The fresh ingredients which unlike those mixed vegetable rices, are less oily and more healthy. 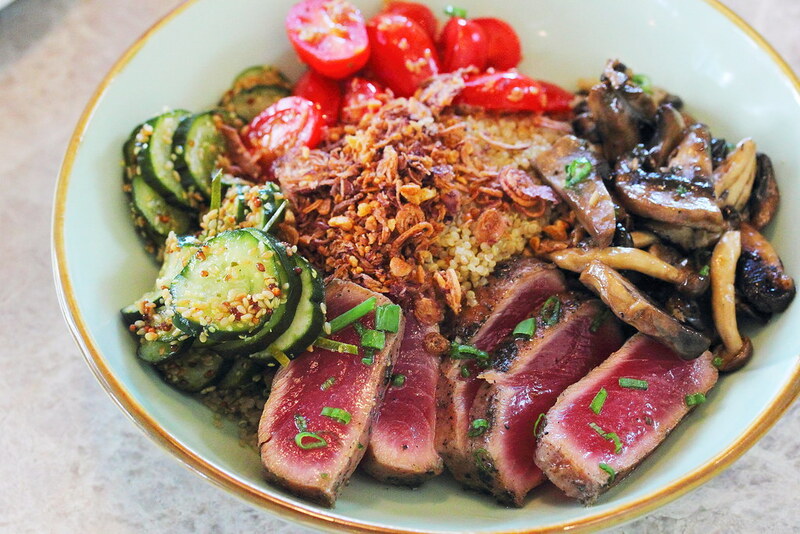 For the Tuna Bowl ($16), I chose the Quinoa, Wild Mushrooms, Wafu Tomatoes, Cucumber Pickles, Crispy Garlic & Shallots and Asian Gravy to go with the Tuna. It was another delightful bowl of fresh, comfort and hearty bowl that was both satisfying and filling. 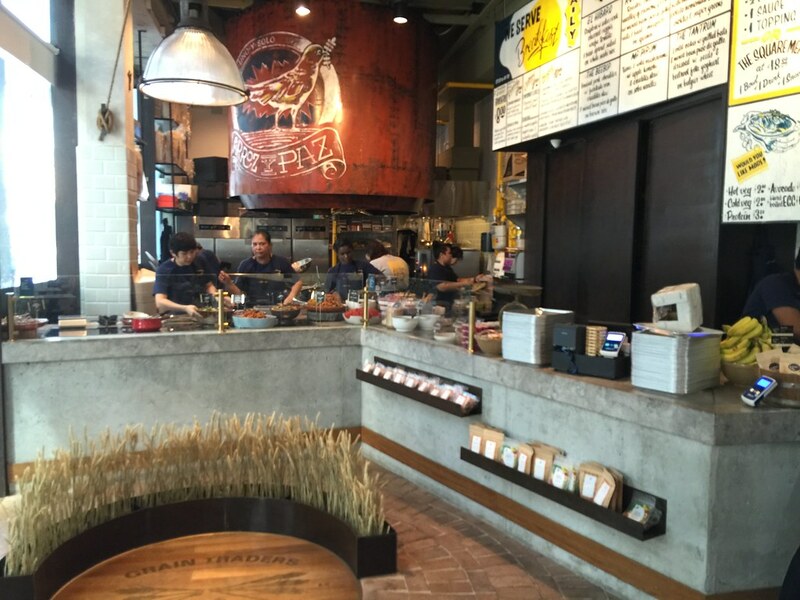 The opening of Grain Traders definitely given the workers in CBD a healthier option and variety for lunch everyday. If not for the $16 price tag, I would have gladly substitute the $3.50 mixed vegetable rice and have this everyday. By the way, I heard words that Grain Traders will be opening its second outlet very soon.